While the web is a useful resource, it is also rampant with misinformation and bias. We understand that when you take the time to visit HomeSecurityList, you are putting faith in us to receive accurate information and guidance on home security providers. You got the info you needed to decision you will be happy with for years to come. As a result, we aim to maintain integrity with all of our security reviews so that you are confident that you’re buying the right antivirus, home security system, or identity theft protection. By understanding the review process, you will have a better sense of what goes into creating a cohesive and quality review and where the information comes from. Every time we gather research using any of the above sources, we make sure to determine that the website is legitimate. We also make a determination that the information provided is clear, honest, and supported by additional resources. Out of the above factors, the ones that we rely upon most include expert review and opinion, industry research and studies, as well as testing and data analysis. We have realized over time these factors are the most legitimate and include the most support for their positions. In terms of consumer feedback and the brand’s webpage, while we use this information, it is with a healthy dose of skepticism. Our main purpose for looking at customer feedback is to compile the main advantages or disadvantages of a product based on how many customers have touched upon those issues. After all, they have actually used the product and are in the best position to elaborate on them. On the other hand, the brand’s webpage is typically highly biased, but it does provide a sense of a product’s main features. The more we put into the review process, the higher quality our reviews are. Luckily there is a great deal of thorough and quality research that goes in to produce the quality reviews coming out. While we do encourage checking out our reviews because we truly work hard on providing you with accurate and legitimate information, we also understand that you may be prone to reading other reviews elsewhere. 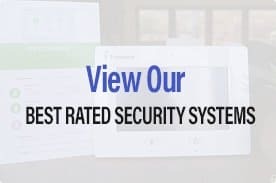 Since we understand the necessity of finding a quality home security system and the reasons for implementing a home security system, we have compiled a number of factors to help you differentiate the poor reviews from the best. In addition to the above qualities, every online review site should be willing to respond to our questions in a timely manner. The longer a website waits or if the site is unwilling to answer your inquiries, you can interpret this as signs of an illegitimate site. Finally, another sign that you have found a quality review website is when the website’s reviews are mentioned in other posts or blogs. Essentially, when another author mentions the review in their own post, it means that the author believes that the review is credible and the information contained therein is legitimate. If another author is relying on the information and the original review’s website has all of the qualifying features, then you should feel safe relying on the review too. Moreover, aside from website mentions, you can also look into awards and other recognitions that the reviewing website has received on the web. Usually, websites and reviews only receive recognition and awards when they’ve gone above and beyond at providing customers quality and useful information. Therefore, if the website you’re looking at has recognition from a well-recognized and quality site, then you should be fine relying on that website and its reviews for information. At the end of the day, your main goal should be to find websites that you can trust. In sum, we truly do our best to ensure that you are receiving the most legitimate and credible information so that you can choose the right home security system. With millions of home break-ins per year, there are few things more important than having a system in place that will protect your home, your family, and your privacy. With 90% of consumers relying upon online reviews to choose their products, we work hard to generate high-quality and informative reviews that you can trust.